When I was a kid, I loved pretty much any cheese I encountered, from mild brick cheese to sharp cheddar. I loved cottage cheese and cream cheese. I loved ricotta in lasagna (although when I tasted it plain and cold, I thought it was terrible). I even liked the stronger cheeses that made rare appearances in the home fridge. But blue cheese ... I was rather skittish. For one thing, I don't think my mom ever bought it, so it only showed up on restaurant menus as a salad dressing. Since I loved Thousand Island dressing, I always ordered that. So I didn't get much chance to try blue cheese - even as a dressing. I was also a little bit afraid of it. You see, I'm allergic to penicillin, and the "blue" in blue cheese is actually a penicillin mold. So for quite a long time, I was afraid to eat it. I wasn't sure if I'd have a bad reaction, and I didn't want to take a chance. Then I did some research and found out that people with allergies to the drug can safely eat the cheese. I started with a cautious little nibble and then a little more and a little more. These days, if no one was watching me, I could probably polish off a giant wedge of the stuff. Most of the blue cheese that comes into this house gets eaten on a cracker, but I also like blue cheese dressing. 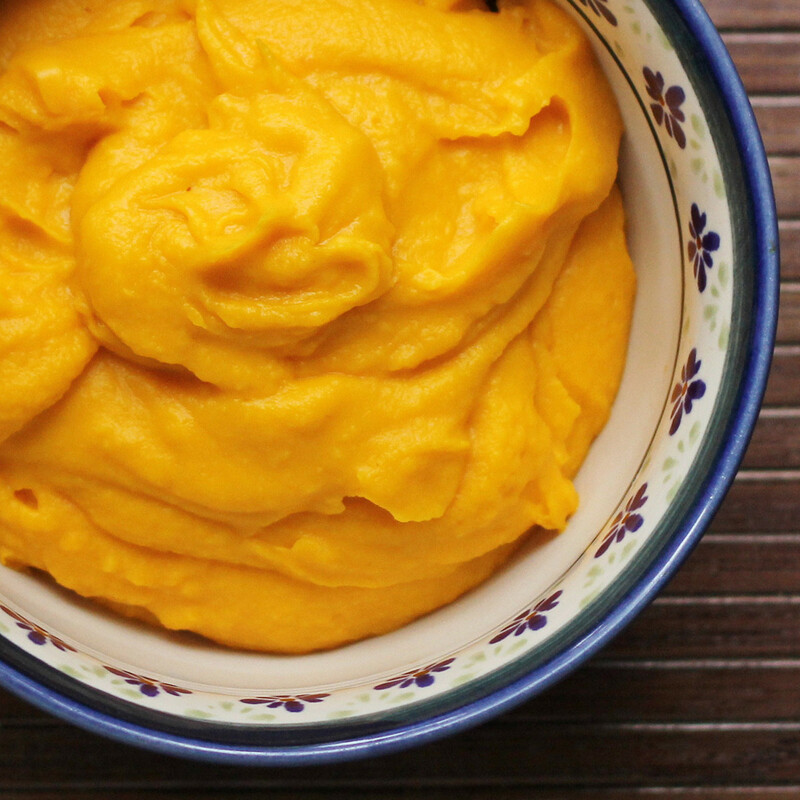 Which also happens to be great as a dip for fresh vegetables. The little secret in this dressing is that some of the blue cheese is blended into the dressing, while some is added in chunks and crumbs. Every little bit of the dressing has the blue cheese in the background and then you get a little chunk of blue cheese and it's a "pow" of blue cheese flavor. This is a super-simple dressing, so the cheese really stands out - it's absolutely not ranch with blue. 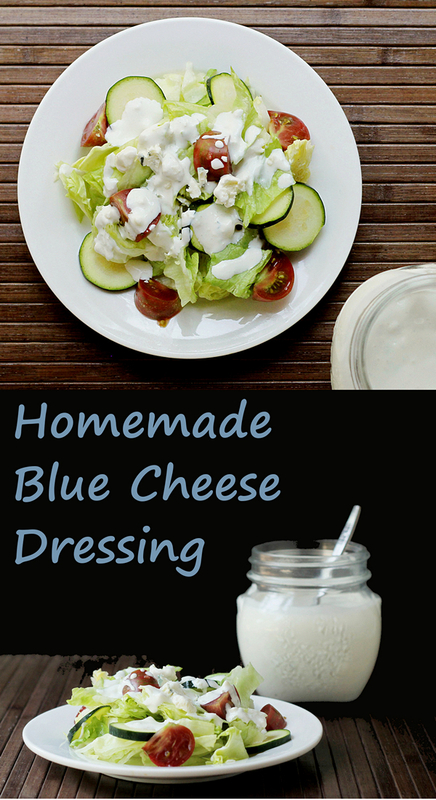 It's very simply blue cheese dressing with no herbs or other strong flavors competing. You can used any blue cheese you love. I used Point Reyes Buttermilk Blue, because it's one of my favorites. Blend the mayonnaise, sour cream, buttermilk, salt, and HALF of the blue cheese in a blender until it's smooth. Meanwhile, crumble the remaining half of the cheese into small bits. Stir the blue cheese bits into the smooth mixture and transfer to a storage container. Refrigerate until needed. I'm a huge fan of Baileys Irish Cream Liqueur. Not just for sipping, although that's a very nice use of it. But I've also used it for recipes. 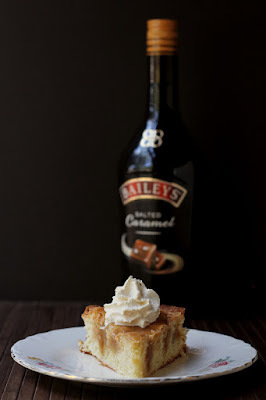 So when the folks at Baileys asked me if I wanted to use some of their salted caramel flavored Baileys in a baking recipe, I knew I had to do it. 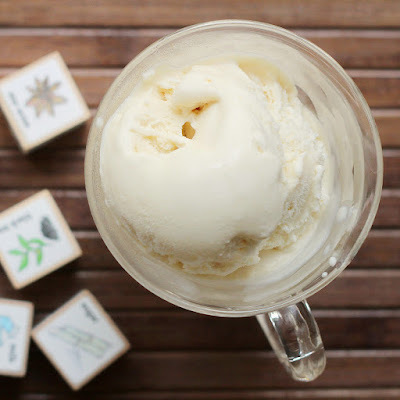 I had a couple different ideas, but I kept thinking about a caramel I made for ice cream that I used for a guest post on Cravings of a Lunatic. 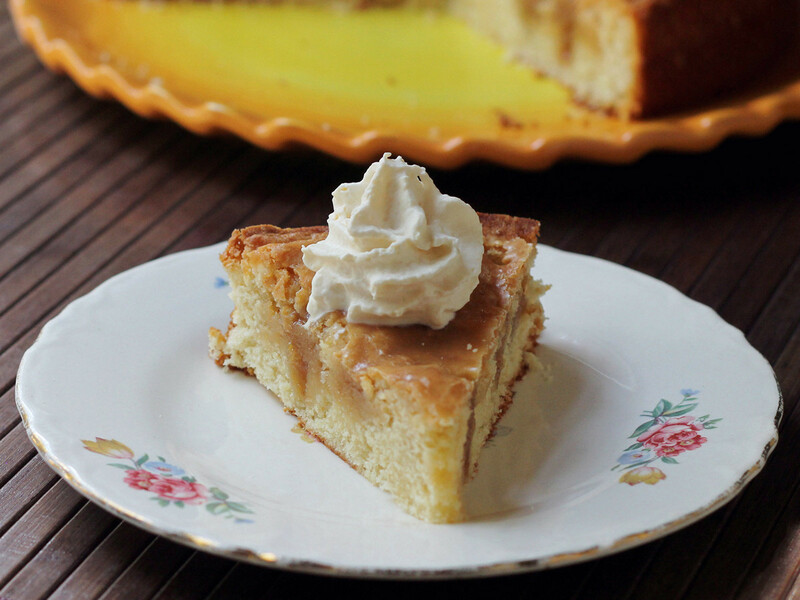 I decided to make a similar caramel, but make it more sauce, and then incorporate it into a cake. Or course, caramel sauce wasn't enough Baileys for me. 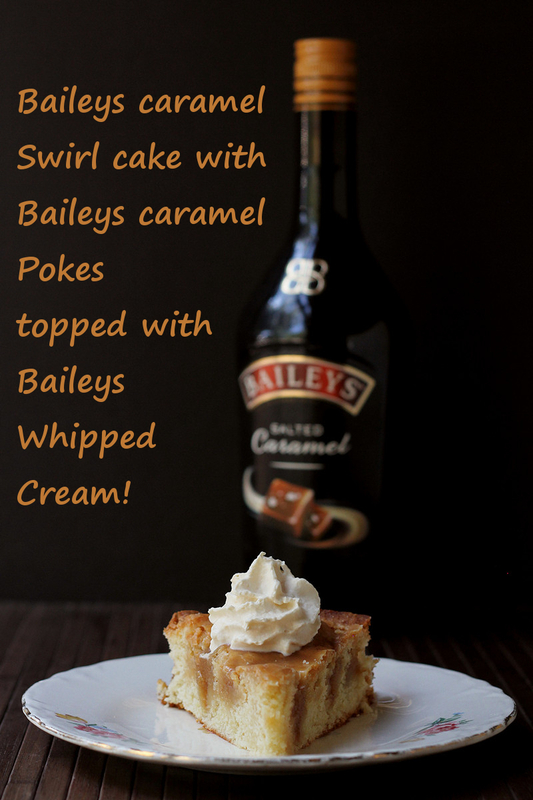 There's also Baileys in the cake batter, and in the whipped cream topping. The caramel that's "poked" into the cake stays soft and squishy, while any excess caramel on top of the cake turns into a thin, crisp, flaky layer. As for that whipped cream, it's an amazing topping for the cake ... but if you happen to have extra, it adds a lovely note on top of hot chocolate. Particularly if you spike that hot chocolate for a little bit of Baileys. Preheat the oven to 350 degrees and spray a 9-inch round cake pan with baking spray. Combine the 1/2 cup Baileys, 1/2 cup sugar, 1 tablespoon butter, and pinch salt in a saucepan. Heat to a boil, then lower to a simmer. Cook until the mixture thickens. It should be thick enough so that when it's at room temperature it will be thick and, but not chewy. It also shouldn't be super-runny. You can test it by putting a small amount on a spoon and putting it in the refrigerator to chill. You should end up with somewhere between 1/2 cup and 2/3 cup of syrup. Pour 1/4 cup of syrup into a glass measuring cup and refrigerate while you work on the cake. Leave the remainder of the syrup in the pot; you'll be reheating it later. Combine the Bailey's and the yogurt in small bowl or measuring cup. Set aside. In the bowl of your stand mixer fitted with the paddle attachment, or in a large bowl with a hand mixer, cream the butter and sugar until light. Add the flour mixture to the butter mixture in 3 additions, alternating with 2 additions of the yogurt mixture, beating well after each addition and scraping down the bowl when needed. This is a fairly thick batter, so don't be concerned that it's not as loose as many cakes you've probably made. Take 1/2 cup of the batter out of the bowl and add it to the chilled caramel sauce you set aside in the refrigerator. Stir to combine. Transfer the rest of the batter to your prepared pan. Dollop the batter mixed with caramel on top of the plain cake batter, and swirl with a knife. You could also add half of the plain batter to the pan, top with the caramel, then add the rest of the plain batter. Swirl or not, as desired. Level the top of the batter and bake at 350 degrees until the cake springs back when touched, and a toothpick inserted in the center comes out clean, about 40 minutes. Remove the cake from the oven and place on a cooling rack. Heat the remaining caramel sauce until it's a pouring consistency. Use the handle of a wooden spoon to poke holes into the warm cake, then pour the warmed syrup into the holes. You don't need to be neat about it - it's fine to spill over the top of the cake. When you've used all the syrup, use a spoon or soft spatula to spread the syrup remaining on top of the cake into a thin layer and encourage it to fill any holes that might not be completely full. Let the cake cool completely, then turn out onto the rack then immediately flip over onto a plate or cake stand, so the side with the holes is on top - the caramel is soft, so if you leave the cake upside-down too long, the caramel will start oozing out. To finish the cake, you have several options. Because of the holes from poking, you probably want to do more than just sprinkle it with powdered sugar. You could, of course, frost it. You could also cover it with a poured or whipped ganache. 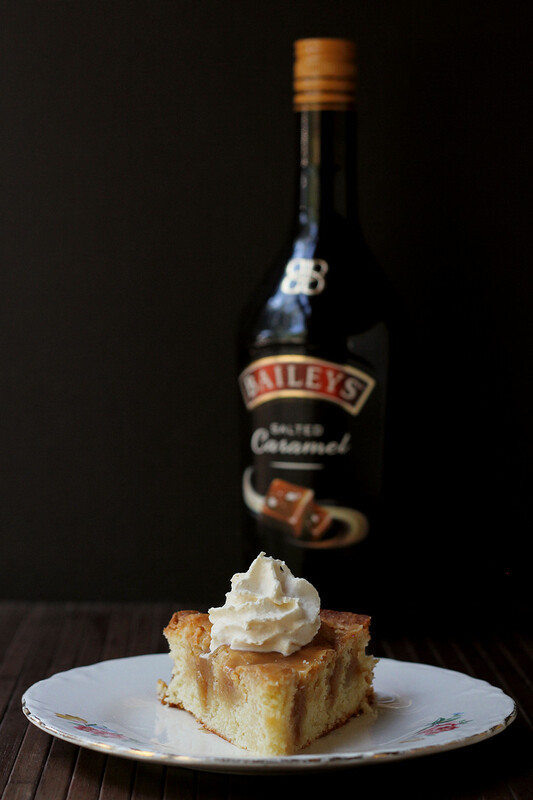 But I thought the perfect partner for this slightly dense cake was a fluffy Baileys-flavored whipped cream. If you know you're going to serve the whole cake for dessert, you can top the entire cake with the whipped cream, but I actually like the idea of topping each individual slice with a pretty little dollop of cream. Or a big dollop. The best way to measure this is to use a 1 cup measure, add the 2 tablespoons of Baileys, and then add the cream to measure 1 cup. The easy way to make the cream is to combine the heavy cream and Baileys and place in a nitrous cream whipper. Charge and dispense according to manufacturer's instruction. The other way is to start by whipping the cream until it begins getting thick, then add the Baileys and continue whipping until it is as thick as you like. Because of the Baileys in the whipped cream, it doesn't hold its shape for as long as a plain whipped cream, so it's best to make it right before serving and decorate the cake or slices at the last minute. Of course, if you're using a whipper, you can just leave the cream in the whipper and dispense as you serve. I received Baileys for my use at no cost to me. A long, long time ago, I had a job that required that I spend countless hours driving all over the Chicagoland area. On some days, I went out to lunch with customers. Most days, I ate lunch alone. If I was in a hurry to get from one side of town to the other, I sometimes grabbed fast food. But if I was close to my next appointment and it was lunchtime, I had plenty of time to have a decent meal. I had some criteria for where I dined. For example, I didn't like getting seated at a tiny table, even though I was alone. Sometimes I brought work with me to read over, and sometimes I brought a book. I didn't need a huge table, but I wanted a little bit of elbow room, if the restaurant wasn't crowded. It irked me to be seated at a tiny table if the restaurant was only 1/4 full, so I tended to avoid those sorts of places. As far as food, I wanted something filling enough to get me through the rest of the day, but not so heavy that I'd want a nap in a couple hours. I also didn't want a super-expensive lunch. This wasn't a special treat, it was just an everyday lunch. And I didn't want something messy. After all, I was going to be visiting with customers after lunch. Over time, I found favorite places in many of the areas where I had customers, and I had favorite dishes at many of those restaurants. One of my favorite lunches was served at a Mexican restaurant, but it certainly wasn't a traditional Mexican dish. It was taco salad. The salad was served in an oversized flour tortilla that was deep-fried in the shape of a bowl. While a giant deep-fried tortilla wasn't exactly the most healthy thing to eat, the rest of the salad was reasonably healthy. I haven't had one of those salads in years, and I'm not sure why not - it's pretty easy to assemble as long as I have chili on hand. I don't bother with the giant deep-fried flour-tortilla bowl - I just use a normal shallow bowl. The appeal of this salad is the contrast between the warm chili and the chilled salad ingredients, as well as the spiciness of chili and jalapenos contrasting with the creaminess of the sour cream. If you look at it, a taco salad is very similar to nachos, with crisp lettuce instead of crunchy chips. 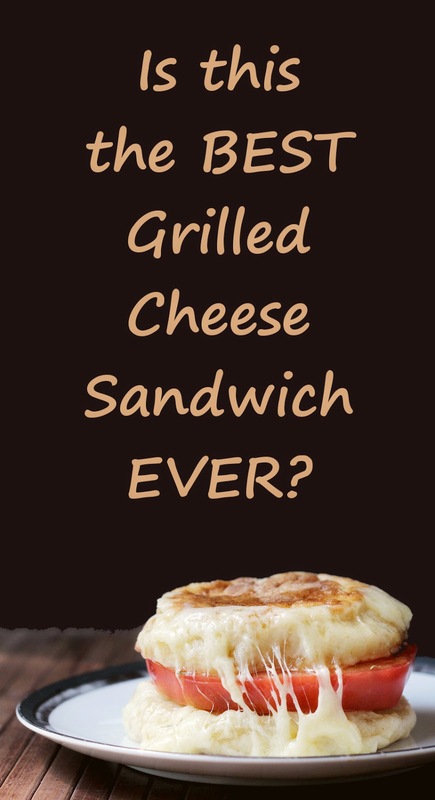 And probably with less cheese - depending on how your make yours. Just like any salad, you can modify it to suit your tastes. 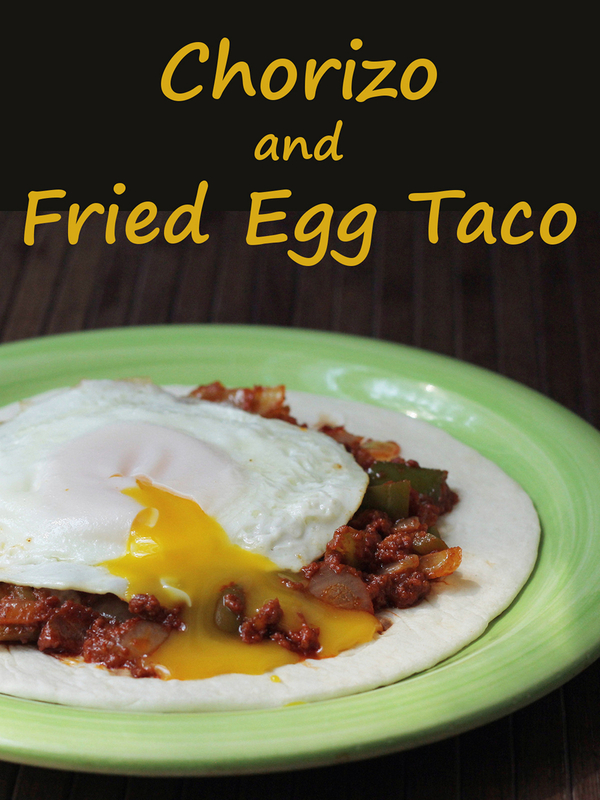 You could even add a handful of tortilla chips, if you like. Scatter the lettuce in a shallow bowl. I aim for a salad that's at least half lettuce compared to the rest of the toppings, but make it the way you like. Add the zucchini and/or cucumbers, olives, tomato, and jalapeno over the top of the lettuce. add a few small dollops of guacamole or slices of avocado around the edges. Add the chili in the center. 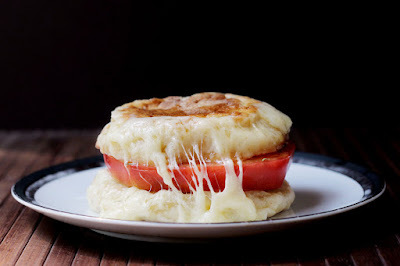 Sprinkle with cheese, and top with a dollop of sour cream or yogurt. Note: this salad would also work well as a built-it-yourself meal with all of the ingredients available for everyone to add as much or as little of each item as they like. Oh my gosh, this salsa is good. You need to try it! This started as a what-if, and I have to admit that I was a little bit skeptical of my own idea. I've made fruit salsas before, usually with mango or peach. But ... watermelon? Not only did it work but it was oh-my-gosh amazing. The interesting thing was that as the mixture sat, it exuded a bit of liquid and the watermelon seemed to get a little denser, in a very good way. I just can't say enough about how ridiculously good this is. I made a pretty small batch because there are only two of us, but this could easily be doubled or tripled or quadrupled for a party. And of course, adjust the heat to your liking. If you want to add more heat right off the bat, leave the seeds and ribs in the jalapeno. Or just add the other half of the pepper. Put the onion, jalapeno, lime juice, and salt in a small bowl while you prep the rest. The lime helps mute the sharpness of the onion and at the same time it picks up some of the heat of the jalapeno so it can mingle better with the fruits. Add the watermelon, peach and bell pepper (I used red, but yellow or orange would look nice as well). You can certainly serve this right away, but I think it improves with a little time to rest and let the flavors mingle - at least an hour, if possible. The fruit exudes quite a bit of juice, so you can drain some of it before serving - but don't get rid of all of it, since there's a lot of flavor in that juice.